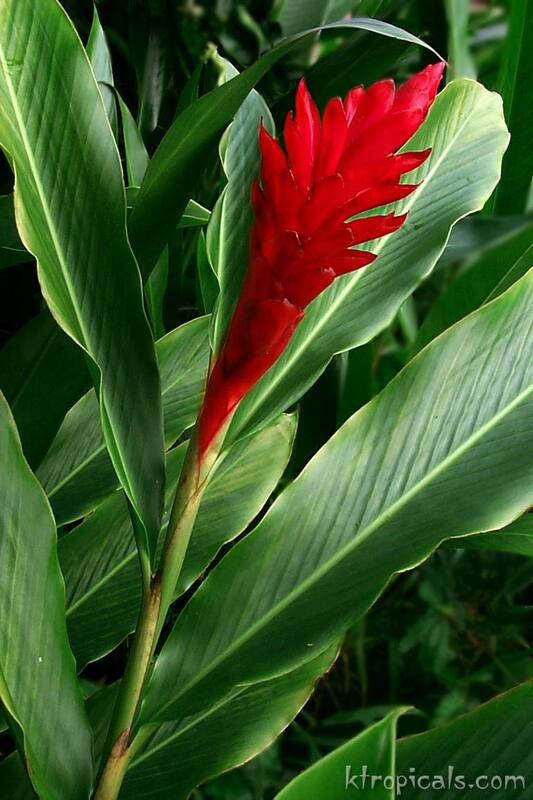 The ginger family (Zingiberaceae) is made up of a large group of tropical herbs. Most gingers are native to the fields and rain forests of Indo-Malaysia. The family, ever changing, consists of about 45 genra and around 700 species. The edible gingers have forever been items of commerce. 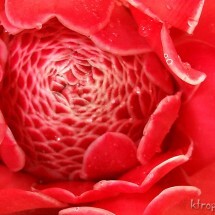 Some are grown for their roots and sold in Hawaiian markets. Others such as cardamom have been used as flavoring though out the world and in India for millennia. Turmeric is another which is used in curry powder and as a yellow dye. 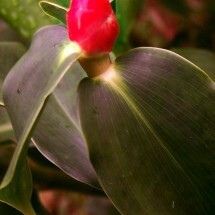 Trade of ginger was developed first in Indonesian and along the coasts of the Indian Ocean. Later, other cultures discovered them. Gourmets in the Mediterranean area became well acquainted with them. Even the early Greek and Roman writings have recorded the use of ginger as a spice. Today our international cuisine has a constant demand on this wonderful spice. 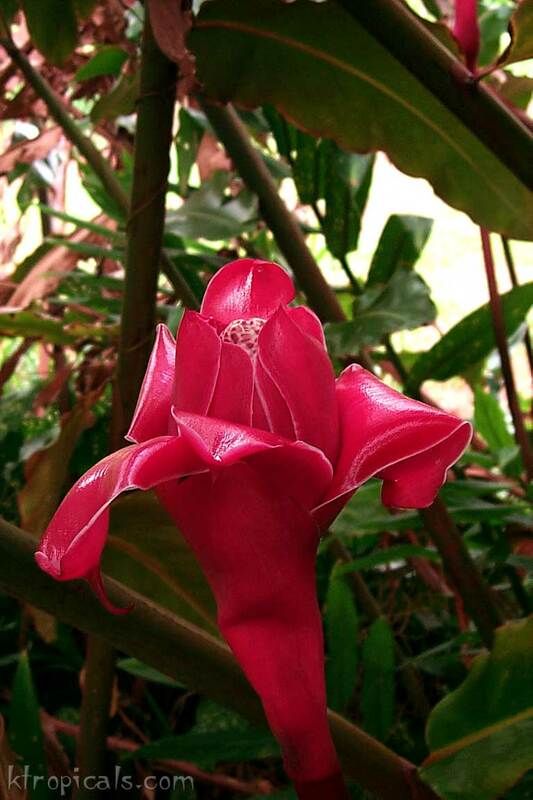 Although more popularly known as a spice the flower of gingers are one of the more widely used tropical plants. 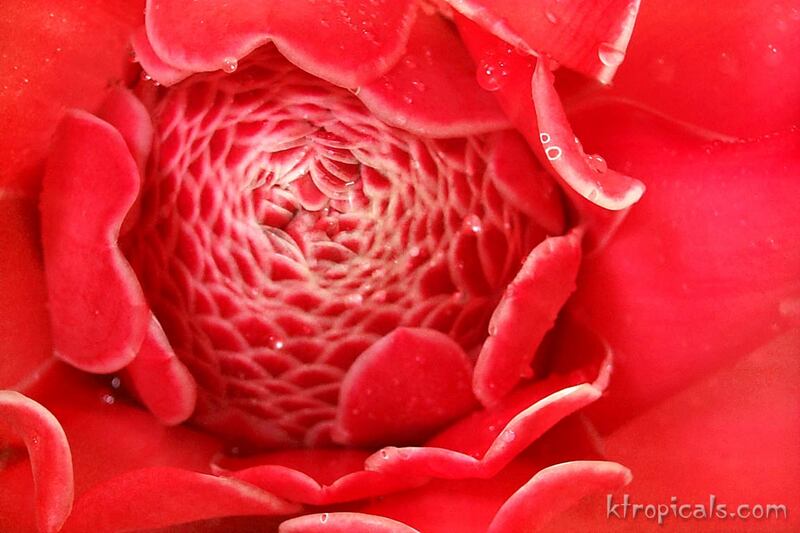 Their bright red flowers can be seen during festival times in the South Pacific as colorful dresses. 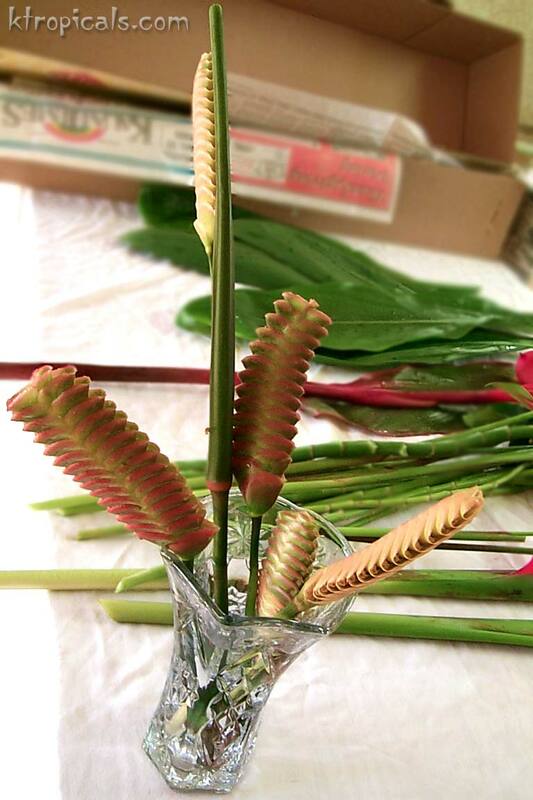 Bracts are also made into stunning leis (garlands) such as in Samoa where the red ginger lei is worn by royalty in important ceremonies. 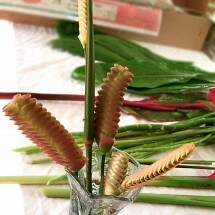 Shell gingers are also quite attractive and are well used in flower arrangements. Many gingers have medicinal uses from helping asthma to relieving stomach aches. Others gingers are used as perfumes and some are thought to have a supernatural values in casing away evil spirits. 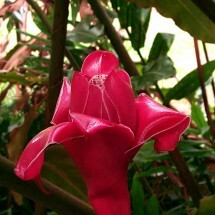 Also the Hawaiians used the foamy flower heads of the variegated wild ginger for shampooing hair and quenching thirst. 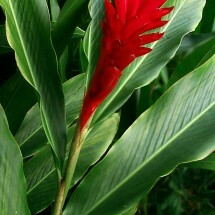 We grow a lot of different varieties of ginger flowers on our farm, here is a small snapshot. 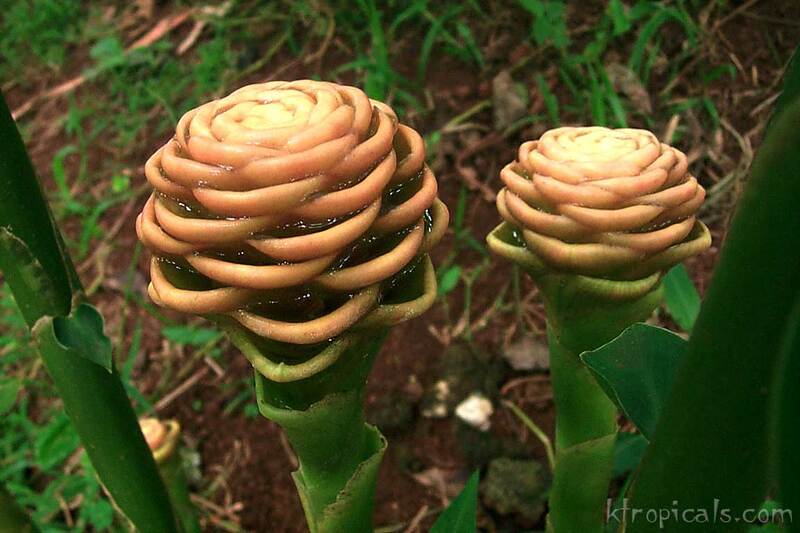 The family name Zingiberaceae comes from the Greek word ziniberi which probably evolved from an ancient Indian name for ginger. In Malaysia you may hear it known as inchiver, which comes from inchi meaning root, another word stemming from the same Indian word the Greeks borrowed. ‘Awapuhi is the Hawaiian term for all the gingers. 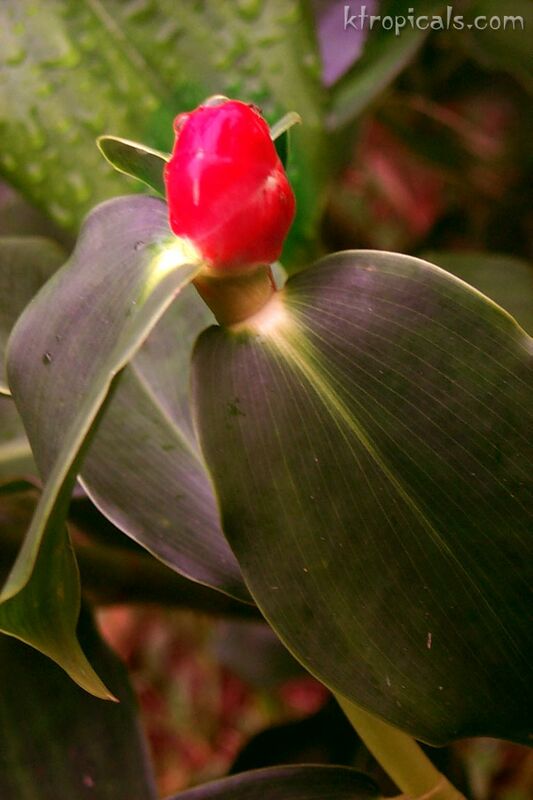 Individual plant names are also quite interesting such as the yellows ginger’s Sanskrit name gandasuli or fragrance of the princess. 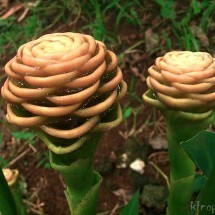 Or the torch ginger’s Hawaiian name ‘Awapuhi-ko’oko’o which means walking-stick ginger.